New Zealand’s first newspaper, The New Zealand Gazette, was published in Petone. 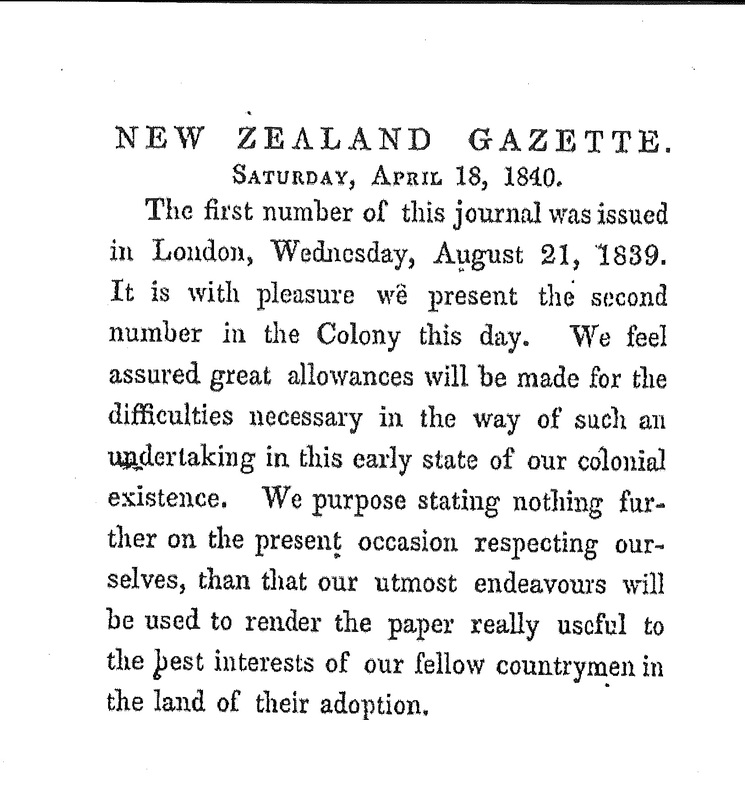 The Gazette was first published in London under the auspices of the New Zealand Company on 21 August 1839. A revised edition was issued a fortnight later. The second issue was published on 18 April 1840 in Petone, making it the first newspaper printed in New Zealand. The Gazette relocated to Wellington after a few months when most of the colonists moved there. The paper was owned and edited by Samuel Revans but it was always perceived as the mouthpiece of the New Zealand Company. It supported the Company in its incessant conflict with the colonial administration in Auckland. The vigour with which the Gazette did battle with the enemies of the Company alienated many of the public and in 1842 led settlers in Wellington to start a rival newspaper, the New Zealand Colonist and Port Nicholson Advertiser. The Gazette expired quietly in September 1844. The printers of the Gazette were employed by the New Zealand Spectator and Cook’s Strait Guardian which began a few weeks later. The Gazette, New Zealand Colonist and the New Zealand Spectator are available online through Papers Past. This entry was posted in PSM and tagged New Zealand's first newspaper, The Gazette. Bookmark the permalink.